Note: For replacement filter, use 130-10288. 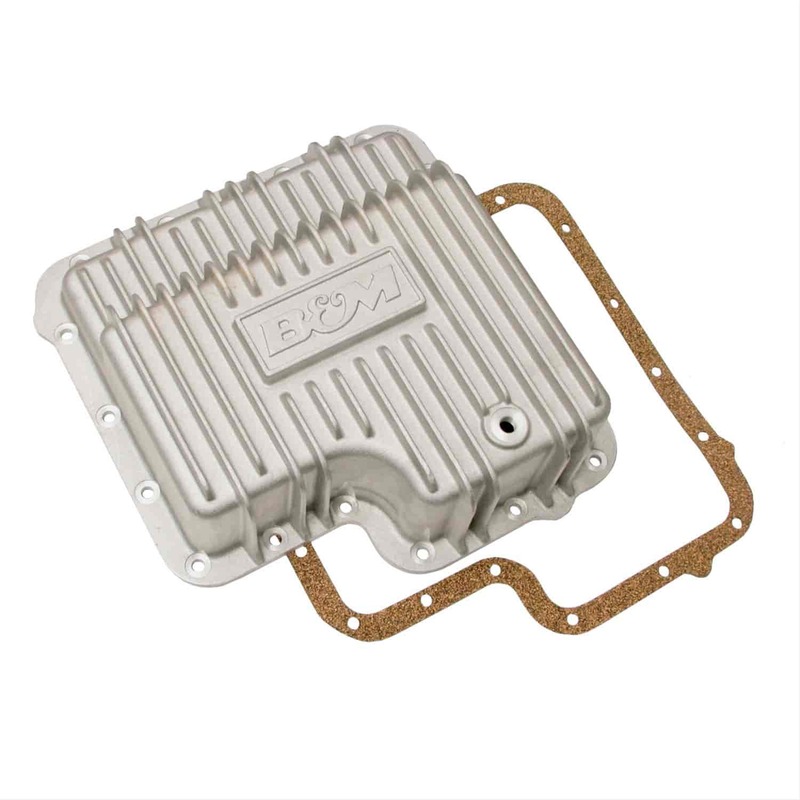 B&M's Deep Automatic Transmission Pans provide a great solution when upgrading or replacing your stock pan. Deep transmission pans add additional fluid capacity and help dissipate excess heat from the transmission. Whether you’re racing, towing, off-roading, or just an enthusiastic driver in warmer weather, keeping your transmission cool is essential to its continued operation and longevity. No modifications are needed to the dipstick and pans include a drain plug for clean and easy fluid changes. Available in chrome, cast aluminum or black finish. Multiple cooling fins for greater heat dissipation. Thick durable cast aluminum or steel construction. CNC machined mounting surface, bolts holes, and ports. No modifications to dipstick required. Includes gasket, drain plug, temperature sensor ports (when applicable), and all necessary mounting hardware. Does B&M 40281 fit your vehicle? 40281 is rated 4.5 out of 5 by 2. Rated 4 out of 5 by 74 ford from Solid unit I bought this for my 1974 F 250 pickup. I do a lot of towing and put a lot of hard miles on my baby, that being said, I wanted to give it a deeper pan. The pan is solid, the instructions complete. The only thing I would suggest to change is the temp sender hole size. While I'm sure the new generation is all about electric gauges, those of us who prefer mechanical gauges are at a disadvantage with the small hole size. I had to drill and recap the hole to 3/8 NPT so my bulb would fit. Otherwise a great unit and solid investment.